How Veterans Can Apply For Social Security Disability | Keller & Keller in order to apply for Social Security disability benefits. Does It Help Your Social Security Disability Claim If You Receive VA Benefits? This question is more nuanced than a "yes" or "no" answer, but an approval for VA benefits may help your Social Security disability claim. 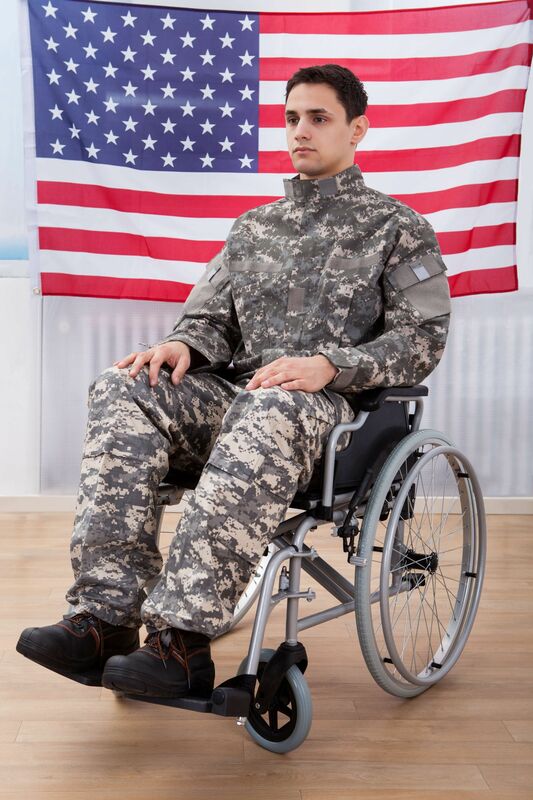 In particular, if a veteran receives a 100% permanent and total impairment rating, this normally indicates that the veteran will have the right kind of evidence to prove disability to the Social Security Administration (SSA). Nonetheless, the VA and the SSA analyze impairments differently. The SSA follows a five step evaluation process to determine if an individual is disabled for the purposes of Social Security benefits. This includes whether the individual is earning income from work, whether they have severe impairments, whether the severe impairments are disabling according to the SSA's medical "listings", what work restrictions the individual has, and whether or not the individual can return to past work or any other work. In addition, the SSA has rules that somewhat relax the standard of disability when a claimant reaches age 50 and 55. Due to the application of these various factors, an individual may have a VA rating of disability, but not be disabled for the purposes of a Social Security disability claim. It is also worth noting that the SSA has a rule to allow for an expedited hearing if a veteran is receiving 100% impairment rating. The SSA will designate your case as "critical" if you are a veteran with a 100 percent permanent and total disability compensation rating from the VA. The average wait time for a hearing is typically multiple years from the date of application, but a 100% P&T rating can reduce the wait substantially. If you are a veteran applying for Social Security disability benefits, contact us online or call us directly at 1-800-253-5537 for a free consultation.